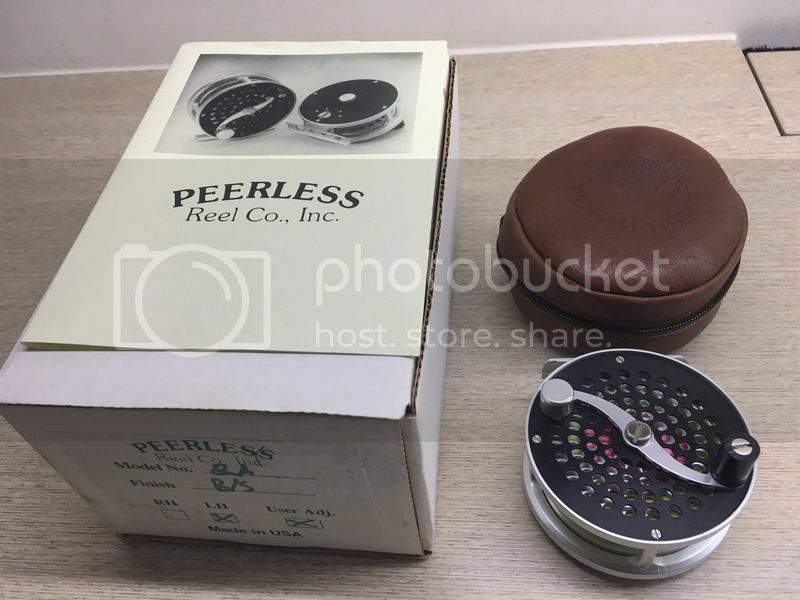 Thread: Peerless 2A Classic Trout Fly Reel, Mint Condition. 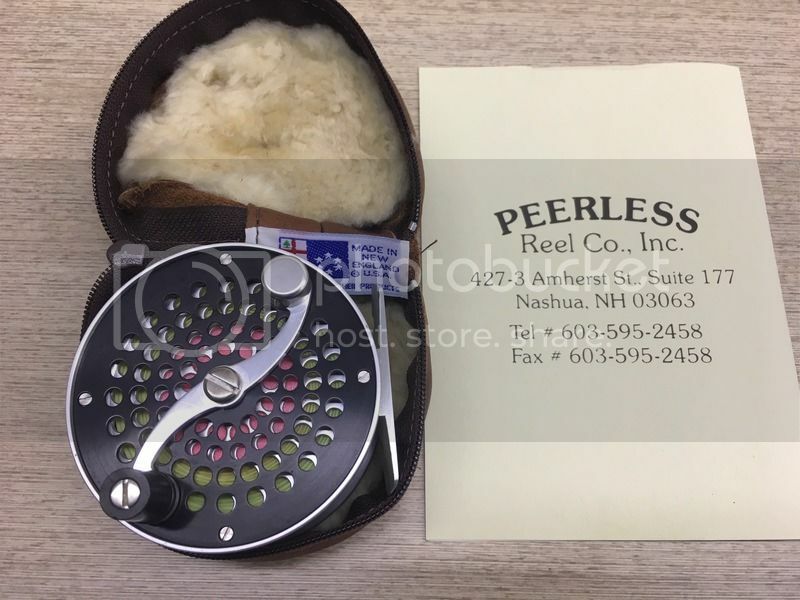 For sale is a mint condition Peerless 2A Classic Trout fly reel for 4wt and 5wt. 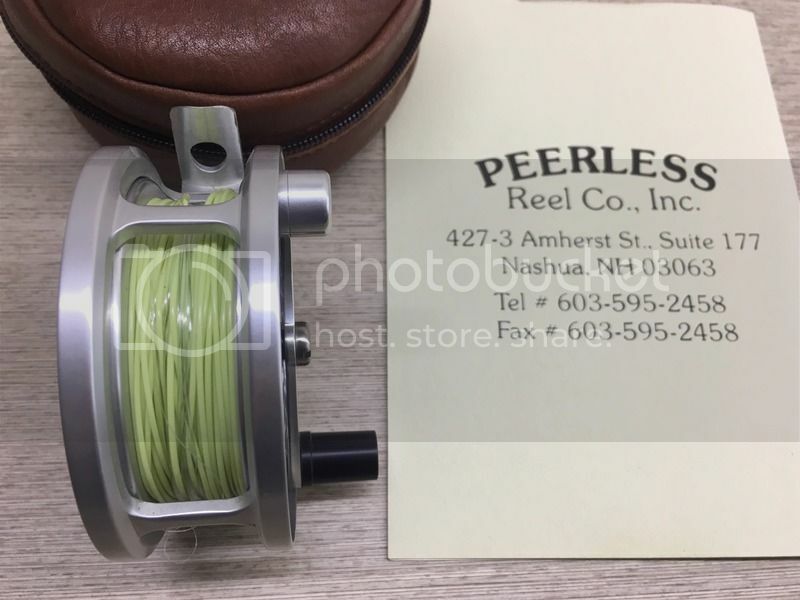 Peerless fly reels were hand crafted by Bob Corsetti in New Hampshire since 1990, and was marketed internationally since 1991. Since Bob had stopped making the reels in 2015, these reels can only be found in the secondary market. 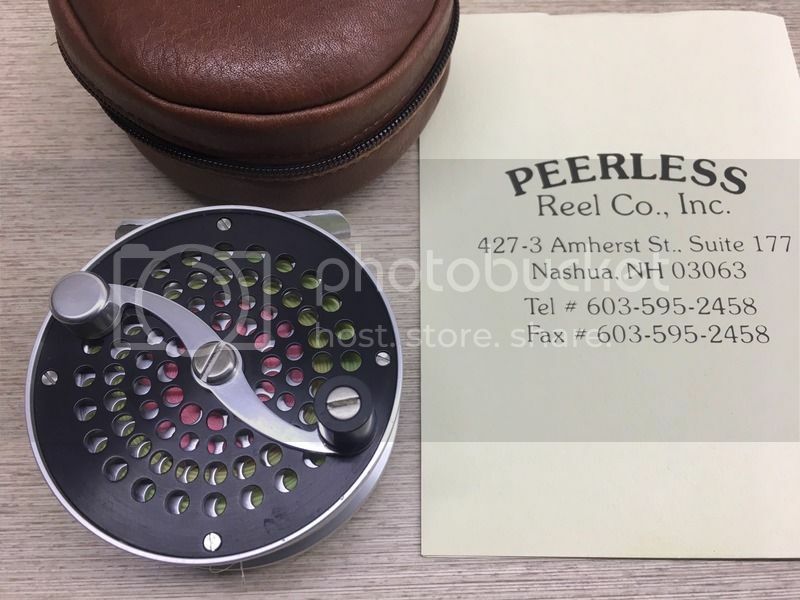 The Peerless A series of Trout Reels comes with the traditional S-Handle, are user reversible Left or Right hand retrieve and has adjustable out-going click tension. 3. 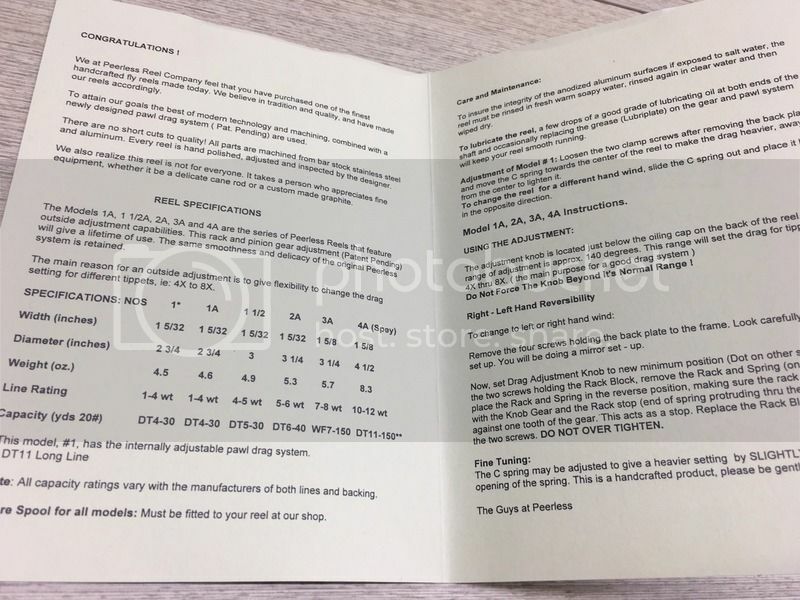 Peerless catalog with instructions for left-right hand retrieve conversion. 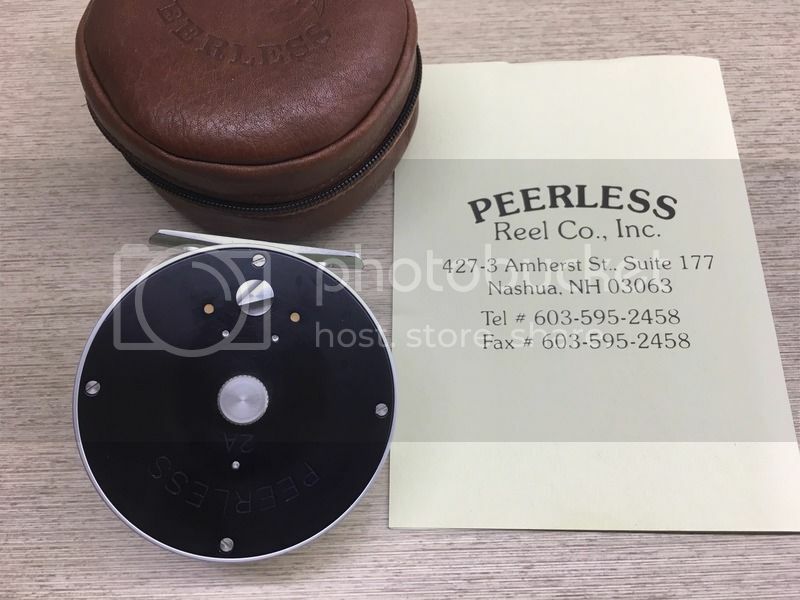 This reel was bought directly from Bob in 2005 and used less than 5 times. 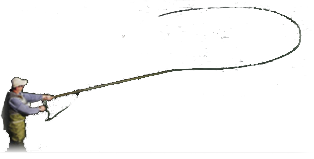 Backing and the 4wt line shown in the photo below are included for the sale. It is currently setup for right hand retrieve and can be converted to left hand retrieve if you so desire. Asking $695 plus $15 shipping cost. Please contact me via the forum Private Messenger or email ShadowCaster1969@gmail.com if interested. Will entertain any reasonable offer. Thanks for looking.